Seattle Biotech Firm, SpringStar, Steps-Up Fight Against Zika and Dengue Fever | Company Newsroom of SpringStar Inc.
Woodinville, WA, January 29, 2016	(Newswire.com) - ​SpringStar, Inc, a Seattle biotech company, has stepped up their efforts to fight against mosquitoes that transmit Zika. The company’s Mosquito Trap-N-Kill™, the only EPA-registered trap of its type, targets mosquitoes that spread Zika and dengue fever. The Hawaii Department of Health has identified 241 new cases of dengue fever since the outbreak began in September. Company president Michael Banfield just returned from Hawaii, where he has been working closely with Hawaii Civil Defense and community groups to help combat the current dengue epidemic. "We just shipped 80,000 Trap-N-Kill traps to Home Depot," said Banfield, and the Hawaii stores can’t keep them in stock. SpringStar's Trap-N-Kill is based on a US military trap designed to protect military personnel from the mosquitoes that carry tropical diseases, like Zika. 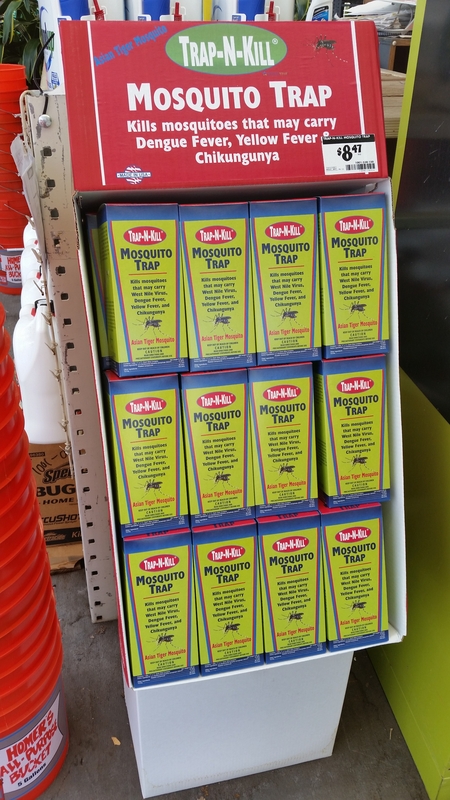 Instead of indiscriminately spraying pesticide in affected areas (sometimes called “spray and pray”), these traps trick the mosquitoes into killing themselves. After a female mosquito takes a bloodmeal, she has an irresistible urge to lay her eggs, and the Trap-N-Kill is an attractive place to do so. As soon as the mosquito goes into the trap, she gets dosed with a tiny but lethal amount of pesticide. A research study in a Florida community found that putting just four traps in each yard reduced local mosquito populations by over 70%. SpringStar’s team is now preparing for trap demonstration trials in Zika infected regions. Banfield said, “Our entire team feels morally obligated to get this technology into the hands of communities as quickly as possible.” They hope that their new technology makes a difference, quickly. The Zika virus has been linked to birth defects that are affecting thousands of babies in Brazil and is spreading rapidly, according to the World Health Organization. They anticipate with how quickly Zika is spreading that the virus could affect as many as four million people across the Americas. To date, 23 countries are affected by mosquitoes that are spreading the virus. The Centers for Disease Control and Prevention has confirmed 31 travel-related cases in 11 U.S. states and the District of Columbia. There has also been 20 cases U.S. territories, 19 in Puerto Rico and one in the U.S. Virgin Islands. There is no vaccine or treatment for Zika, which like dengue causes mild fever, rash and red eyes but close to 80 percent of people infected have no symptoms. SpringStar’s researchers are also hard at work on the next generation of mosquito control tools. They have been working closely with CDC researchers in Puerto Rico to develop a pesticide-free mosquito trap. In addition, they are working with the Rutgers Center for Vector Biology on an NIH-funded auto-dissemination device. This technology will turn female mosquitoes into “delivery drones” for an insect hormone that will kill mosquito larvae in hard-to-reach areas. 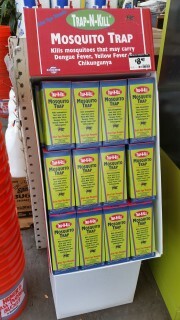 SpringStar is working to help stop the spread of Zika by making their Mosquito Trap-N-Kill readily available and accessible in Home Depot stores. The product is a simple black container that mimics the breeding sites for the Aedes mosquito species, and kills females when they enter the trap to lay their eggs. It is easy to assemble, and can provide a low-cost, low-pesticide alternative to fogging practices. Trap-N-Kill is based on a US military design made to protect troops from the mosquitoes that carry tropical diseases, like Zika. The traps trick the mosquitoes into killing themselves. SpringStar, Inc has now made this product available in Home Depot stores in the United States, Puerto Rico, Guam, and the Virgin Islands. To learn more about the product or to order, visit SpringStar.net. SpringStar Inc. designs, develops and manufactures advanced pest and mosquito control products that are based on insect biology and pheromones. The result is more effective pest control without unintended environmental side-effects. To learn more, visit SpringStar.net.